How long have you volunteering at Pratthanadee? What is the best thing about it? Please feel free to share your story! 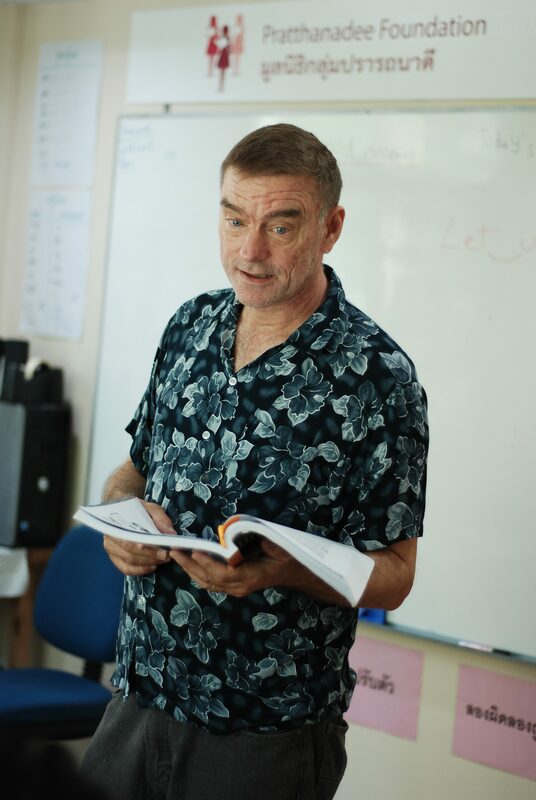 For me, the best thing about volunteering as an English teacher is waking up every Tuesday morning excited to be able to spend time with the wonderful ladies in my class, and being able to share my knowledge of the English language with them. In turn, I get to experience their kindness and generosity. What has been different to how you expected? One of the most wonderful things is that I don’t just get to teach – the ladies in my class have also taught and shared so much with me about their country, local customs and traditions and their lives. When I began teaching, I was pleasantly surprised to see how much English the ladies had already learned! While they were initially shy about speaking, it has been such a joy to see how much more comfortable they have become speaking the language with practice and over time. This has, in turn, created greater confidence not just in their language abilities but also more broadly. What would you say to others thinking of volunteering? I personally feel that I get far more from volunteering than I put into it, especially the joy and feeling of accomplishment as I watch first-hand how the confidence and capabilities of the students increase from week to week, and knowing that their future will be enhanced through their English language skills. I would recommend this opportunity to anyone who wants to share their English capabilities. Doing this is truly an honor for me. I am so thankful to be a part of their lives and to have them enrich mine! 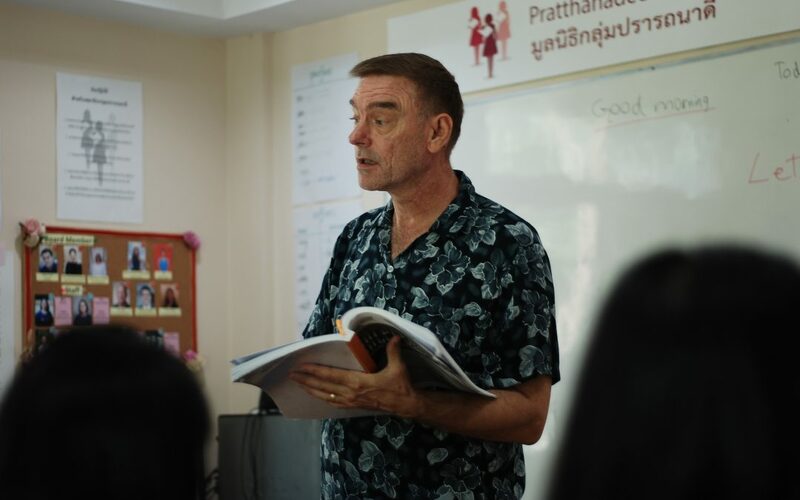 The experience doesn’t just begin and end in the classroom: you get to interact with the wonderful and supportive Pratthanadee staff and to realize that we are one team with a common goal of helping improve the lives of our wonderful female Thai students. Thank you Pratthanadee Foundation!